Whatever happened to those radical boomer activists from the ’60s and ’70s? The “Me Generation” propelled an age of dissent, and then seemed to lose interest. Or so the story goes. 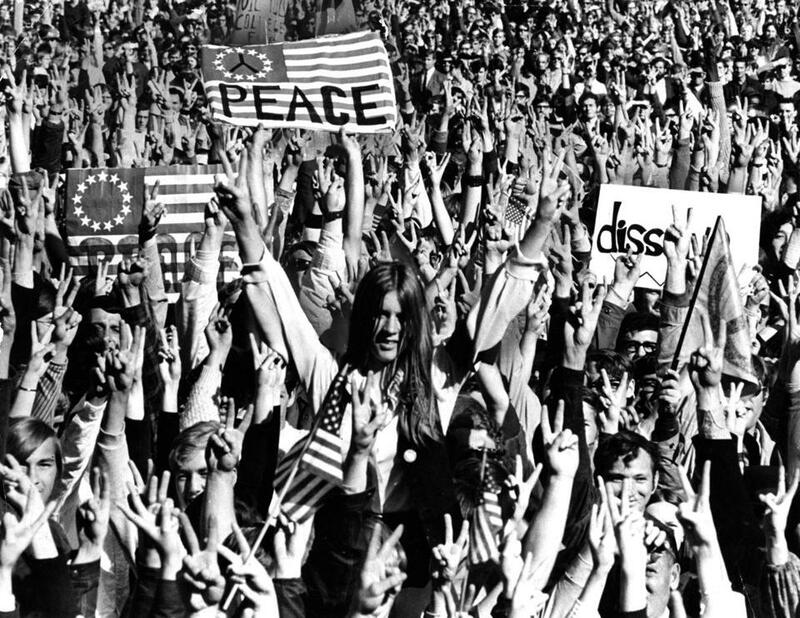 Antiwar protesters on Boston Common in 1969. “Doonesbury” characters Zonker Harris, Ginny Slade, Joanie Caucus, and Mark Slackmeyer, then and now. 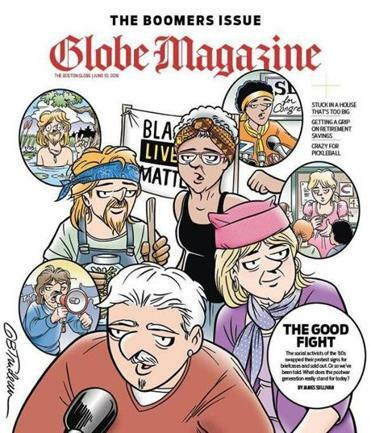 Cartoonist Garry Trudeau illustrated the cover for the magazine’s Boomers Issue. That’s a little harsh, say those who lived it. The “leading edge” boomers — those born between 1946 and 1955 — grew up with regular reminders of the existential threats that lurked beyond the cul-de-sac: “duck-and-cover” drills in case of nuclear attack, a president assassinated for the first time since 1901, civil rights protests and race rioting, and escalating involvement in Vietnam. Then came 1968. The year had just begun when the Tet Offensive, North Vietnam’s massive effort to inspire rebellion among the South Vietnamese and encourage the United States to scale back its involvement, launched on the Vietnamese new year in late January. Lew Finfer was a high school senior in suburban New York in the spring of 1968, organizing marchers for Martin Luther King Jr.’s Poor People’s Campaign. For him, the reports out of Vietnam that year put the lie to “three things a lot of the boomers were raised with: that our government always tells the truth, that whenever we fight a war we’re completely right and moral, and that the communists are the evil, godless ones.” Finfer never stopped organizing, moving on to school desegregation in Boston in the 1970s. Today, at 67, he serves as co-director of Massachusetts Communities Action Network in Dorchester. “There’s a certain mythology that the boomers gave up on their idealism,” says Allen Young, who was a staff member of the Liberation News Service, the “underground” news organization founded in Washington, D.C., in 1967 by Amherst College grad Marshall Bloom and Boston University alum Ray Mungo. Like Finfer, Young, who was born in 1941, begs to differ with that assessment. “I know a number of people who became nurses, doctors, social workers, and therapists,” he says. Even many of the lawyers he knew ended up working on social and environmental issues. 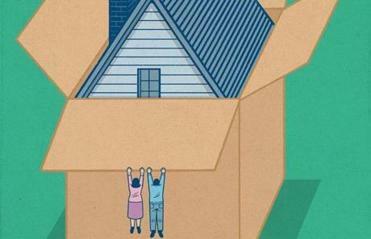 In the Boston area housing market, there’s no longer an upside to downsizing for many empty nesters. In truth, most boomers did not join protests against Vietnam or anything else. The ’60s did see rallies of sizes unprecedented at the time, with 250,000 people attending the March on Washington for Jobs and Freedom in 1963, and by some estimates 2 million turning out nationwide for 1969’s first Moratorium to End the War in Vietnam (100,000 came to Boston Common). Relative to the population, the moratorium was probably the biggest protest the country had seen before last year’s Women’s Marches, which drew as many as 5 million Americans. The perception of the boomers as activists extraordinaire lingers, however, perhaps because they were the first generation whose iconic events were widely broadcast on television. Certainly, Doonesbury’s Zonker, Megaphone Mark, Joanie, and the rest of Garry Trudeau’s original Walden Commune residents have kept the cartoon archetypes of the boomers in the public eye. 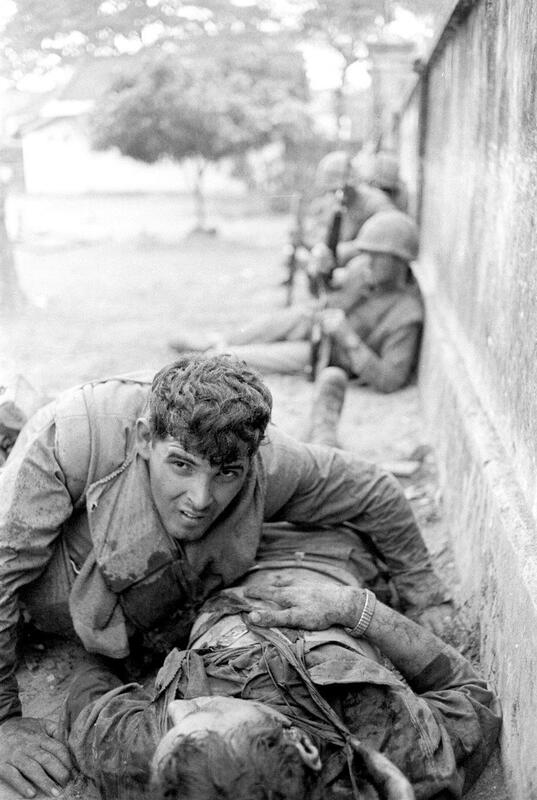 A US soldier tends to a fallen comrade during the Tet Offensive. One big spark for the era’s activism was the Democratic National Convention in August 1968 in Chicago, where antiwar Senator Eugene McCarthy faced off against Vice President Hubert H. Humphrey. Tens of thousands of student protesters gathered on the city’s streets to demonstrate against the war. Many of them had responded to the call of organizers including the Yippies, the Youth International Party, founded by Worcester’s Abbie Hoffman and friends. The Yippies were notorious for pranks that included dumping fistfuls of money onto the trading floor of the New York Stock Exchange and promising to “levitate” the Pentagon. In Chicago, they would nominate a pig as their party’s presidential candidate. But they were also savvy manipulators of the still relatively new medium of television, and effective organizers. 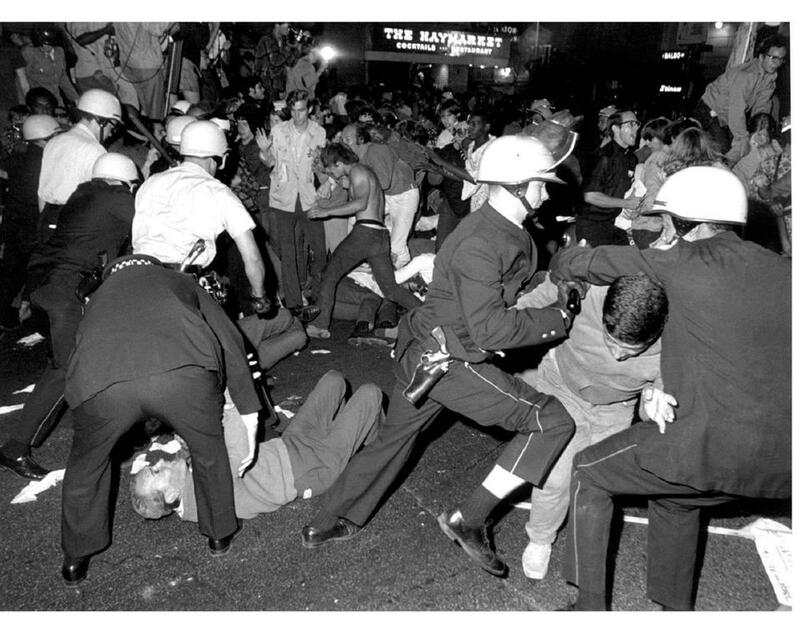 Police and protesters clash in Chicago in 1968. “We knew it was true,” says Gumbo, “and it gave us confidence. We knew we were on the side of the righteous.” During the primaries, a majority of votes cast had been for antiwar candidates. But most delegates were assigned in party caucuses, and the Democrats nominated Humphrey to run against Richard Nixon. After Chicago, boomers and their slightly older counterparts ramped up their demands for attention. Across Greater Boston, students seemed to be out in the streets as often as they were in the classroom. Campus buildings were occupied by students at Harvard, Boston University, and Boston College, where African-American students aired a list of grievances, bringing the aims of the Black Power movement to Chestnut Hill. At MIT, students engaged in a six-day standoff with officials in late fall 1968 when they created a “sanctuary” for a soldier who had deserted after turning against the war. The research center was eventually spun off from the school as the independent nonprofit Draper Laboratory. Katsiaficas became an ardent protester, spurred both by his work on the panel and the death of a lacrosse teammate, Paul Baker, who’d joined the Marines and was killed in Quang Tri. Katsiaficas missed his graduation while serving a 45-day sentence at the Middlesex House of Correction in Billerica for “disturbing a school.” In graduate school at the University of California at San Diego, he studied with radical Marxist Herbert Marcuse, then came back to Boston to teach social science at the Wentworth Institute of Technology, publishing more than a dozen books on leftist politics. His next, The Global Imagination of 1968, is out next month. 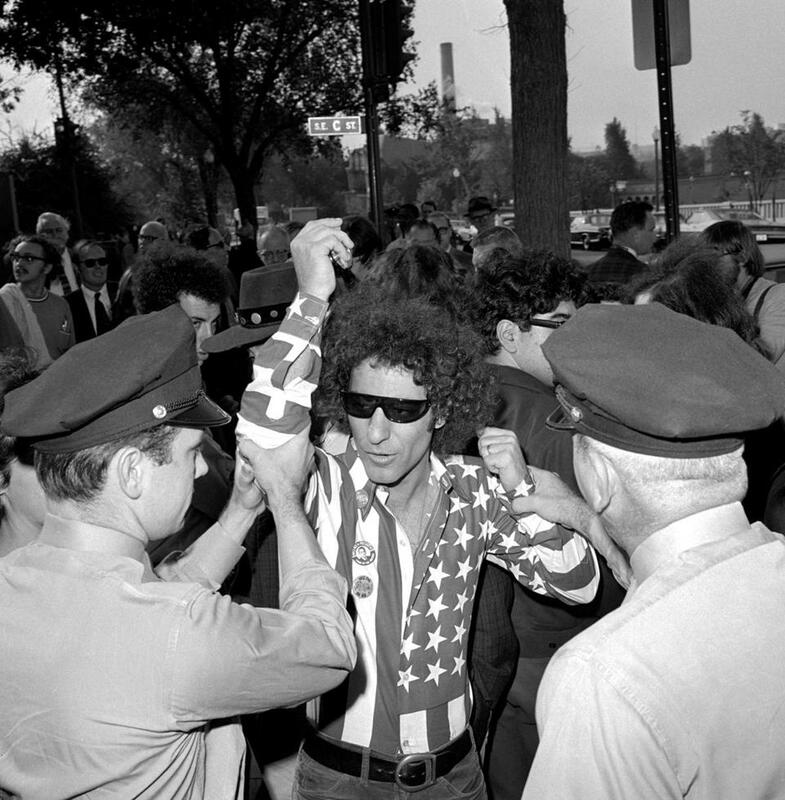 Police in Washington, D.C., arrest Abbie Hoffman in 1968. The unrest continued into the early 1970s. BU even canceled undergraduate finals and commencement in 1970, after a rash of fires set in school buildings. Violence created a rift between protesters who shunned aggression and those who believed it necessary for true change. Surveys have shown that protests, for all their drama, were supported by a small percentage of Americans, and they began to die down. The draft, a hot-button issue for activists, ended in 1973, and boomer activism began to shift to the Equal Rights Amendment, while the country as a whole was buffeted by the oil crisis and then stagflation. Some of the Yippies became Yuppies in the go-go 1980s — Jerry Rubin famously became a stockbroker. But Rubin also marketed a health drink made with bee pollen, ginseng, and kelp. It was called Wow! Pownall thinks the number of boomers “who went that way, to the money side, is way less percentage-wise than it had been in previous generations. There were still a lot of people with liberal cred.” In fact, polls have shown that older boomers have consistently leaned Democrat, while those born after the mid-1950s, coming of age during the Carter and Reagan presidencies, have tended to be more conservative. Yet even on campus in the 1960s, the boomers weren’t uniformly hippie. Reid Ashe covered the soldier-sanctuary incident as a reporter for MIT’s student newspaper, The Tech. Ashe, a native of Charlotte, North Carolina, only attended protests as a reporter. “I certainly believed that the war was wrong, that things needed to change,” he says. But while some students “were committed to the movement,” of the students he knew at MIT, many more “were too busy doing other stuff, studying for the next exam.” Ashe became a managing editor at The Tech and then went into newspaper management. He witnessed another side of boomer activism as president and publisher of The Wichita Eagle in Kansas in 1991, when the “Summer of Mercy” took over the city for six weeks of protests against three abortion clinics. Thousands of advocates on both sides showed up on the streets; by the end, more than 2,500 demonstrators were arrested. It was one example of conservative boomers adopting the language and tactics of social protest associated with their more liberal peers. 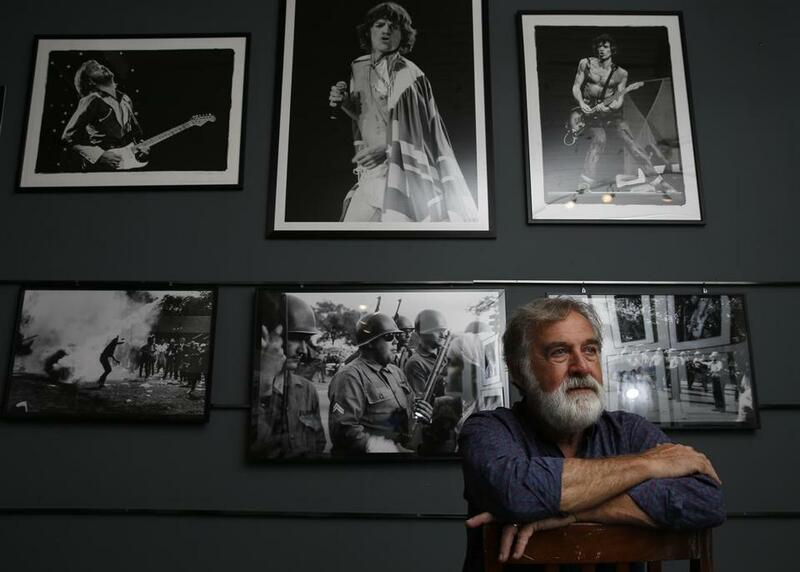 Ron Pownall in his Somerville studio, with photos he took at the Chicago protests. In this new age of division and despair, Finfer still sees plenty of reasons to be hopeful. He points, for example, to the young people pushing for gun control laws in the aftermath of the Marjory Stoneman Douglas High School shootings in Florida. It may be years before those young activists see any results, he says. “It’s not like they’re going to demonstrate every day forever. But that’s a major event some of them are passing through, the same way our generation had to deal with the Vietnam War and civil rights and so forth. James Sullivan is a frequent contributor to the Boston Globe. His book about protest music, “Which Side Are You On?,” comes out in December. Send comments to magazine@globe.com. Get the best of the magazine’s award-winning stories and features right in your e-mail inbox every Sunday. Sign up here.